Happy new year! Things have been a little quiet on the flying front so far this year, partly due to the ongoing wait for Oscar Romeo’s engine overhaul, but also because of weather. I was due to fly today, but the warm front passing over the UK has brought with it low cloud and drizzle. I’ve re-booked for Monday, as I need to get some flying in this month. 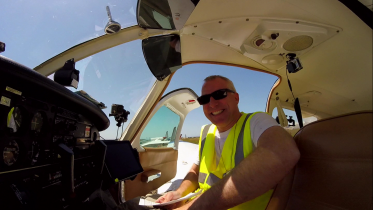 I have been less keen to fly recently, following the death of Simon Moores, whose death I’ve talked about extensively. I certainly haven’t wanted to put myself in IMC, particularly since the weather has been so cold. I will need to overcome this reticence fairly soon, but playing it safer than safe can’t be a bad thing. 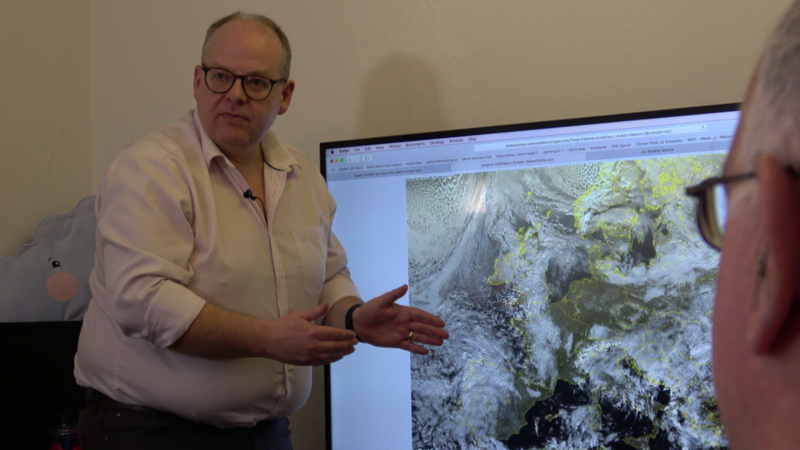 Last Saturday I attended Simon Keeling’s weather school. The courses are geared specifically for pilots, and run in two parts. The first of the two one-day sessions is a great refresher of what we learnt in PPL theory studies, and there’s some additional knowledge thrown in too. I’ve regained my love of fronts and air masses, and I’m much better able to predict flying windows in the days ahead. I plan to make a film about weather, incorporating the weather classes. Stay tuned for this. You’ll know that I run a subscription system, where viewers/followers can pay a small sum to help cover the cost of making my videos. In return, I offer those subscribers early, ad-free access to my content, and release bonus videos, exclusive updates and un-edited flights. After two years of making substantial losses in the production process, 2018-2019 will be the first year that I break even. A big thank you to those who’ve helped out in this way. No one is as keen as I am to see Oscar Romeo flying again, but unfortunately it’s going to be a little longer until she’s back in the air again. There’s been a delay in getting hold of one of the parts we need, and the engine overhaul may not be completed until March. I’m still flying though, and the videos will keep coming! 2 Comments on "Newsletter 25/01/19"
I do like your “rambling” as it is full of candour. Get up there John. Yea unfortunately life is risky and we each have to balance that risk especially us pilots flying SEPs. Hey getting out of bed and going to work can be fraught with risks…..but then life is short and you must do those things you love if the bank manager allows it. Thanks. Just a shock when it happens to two really experienced pilots.